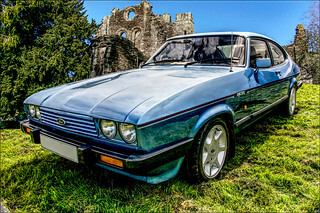 This is the 1970's Ford Capri - the Supercar for the common man. It had a 2.8 ltr fuel injected engine, and it could shift ! Really powerful styling put it in a class of its own.